GIVE YOUR TIME AND YOUR VERY GENEROUS HEART. 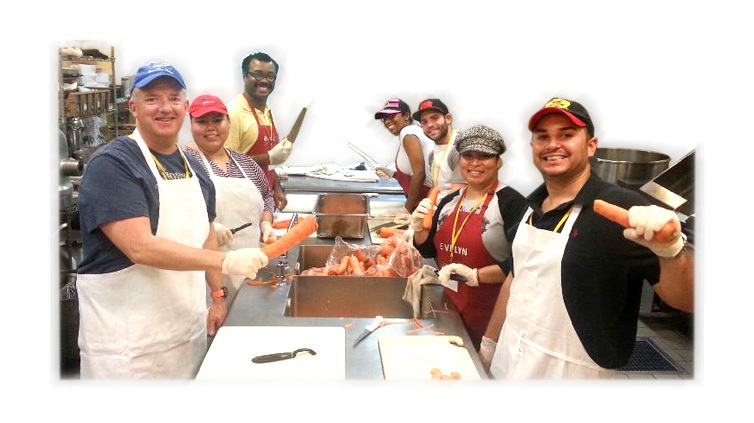 Broward Partnership’s program to engage the community by volunteering to help cook and serve meals as well as to provide financial support for our organization. 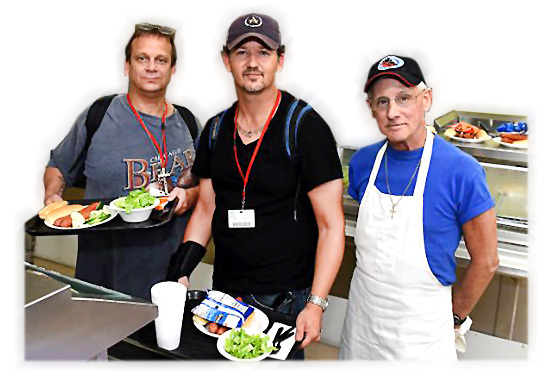 Interested parties can sponsor a meal for our residents while volunteering in our kitchen. The Broward Partnership provides over 100,000 meals a year. Every day, program participants are served breakfast, lunch and dinner. Groups from corporations, civic and professional associations, high-schools, universities and the faith-based community have the opportunity to sponsor, cook and serve a meal, which feeds 230 men, women and children experiencing homelessness on our campus. Make Your Team Building Meaningful! Under the guidance of Broward Partnership’s Food Service staff, your group works together to prepare the meal in our kitchen, serve it in our dining room and then help to clean up and get ready for the next meal. Learn How To Make A Difference! is a true behind-the-scenes look at the services the Partnership provides. Your group will learn who those experiencing homelessness are in Broward County, and how you can help break the cycle of homelessness. When members of our community break bread with our participants, we begin to break barriers in the fight against homelessness. Experience the personal satisfaction of knowing you made a difference – it will be an experience you will always remember. For those experiencing homelessness, the simple act of finding a meal can be insurmountable. For many families and individuals, a communal meal serves as a source of healing and connecting with others. The Broward Partnership Food Service Program meets these needs by providing three well-balanced meals a day for program participants, evening snacks for children, bag lunches/dinners for residents who are employed and off-site at meal time, and the provision of special dietary plans for the in-firmed and elderly. For more information or to volunteer please contact the Community Engagement Manager 954.779.7673 or dminott@bphi.org. Take the first step and start helping change someone’s life today.